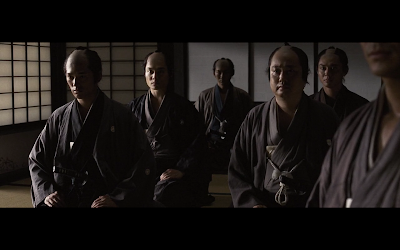 13 Assassins join together to stop an insane lord from reaching a position of higher power and turning the world into a blood bath. It’s a suicide mission -- still former Shogun Shinzaemon takes on this task, for the people, and gathers a group to take down evil Lord Naritsugu. 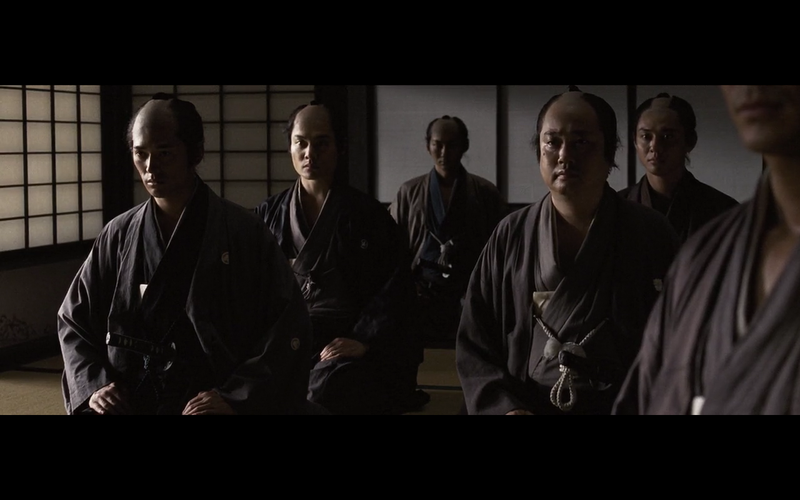 The premise is similar to one of my all time favorite films, Akira Kurosawa’s Seven Samurai. That film is a masterpiece…13 Assassins isn’t in the same category. Seven Samurai is actually a simpler film, but it works better in achieving its emotional resonance. Knowing all the main characters will die is not as important as the impact of their deaths as a whole. I felt far more connected to Akira Kurosawa’s protagonist and supporting cast than I did here. It’s not a failure, but had I watch this film first (as most are sure to do; Seven Samurai is a film from the 1950s) I would have enjoyed it far more. Those looking for more substance, look elsewhere. The villain, Lord Naritsugu, is the embodiment of pure evil just because that’s his personality. There’s no rhyme or reason to his madness, the world is just a toy to him. He represents evil, and the samurai are good, plain and simple. And a good vs. evil story can still work, although a moral gray area would have been nice, for example, if the Samurai weren’t exactly killing for a noble cause. If Lord Naritsugu was just raising taxes and people just disagreed with him based on his political views I think his death would actually mean more. If he were more of a sympathetic antagonist maybe his final scene would’ve been more poignant. Leaving the audience wondering if the samurai went too far…that’s not the case in the actual film, Lord Naritsugu deserves to die, and you feel nothing for him when it ultimately happens. 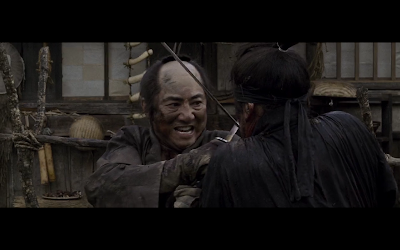 13 Assassins just needed one ingredient to make the film truly shine, and that one thing is care. Five or six members of the cast stand out, the rest were largely nameless, and when their death scenes happened I shrugged. I couldn’t tell most of the supporting cast from one another, and in a film where you know the good guys are going to die having that attachment to them makes their demise impactful. If each samurai was recruited separately, under different circumstances, and each had a different reason for joining outside of loyalty the viewer may care when they got sliced in half. Even something simple as giving each samurai a different weapon would’ve differentiated them – it sounds weird but it worked for the Teenage Mutant Ninja Turtles: if they were all the same color, and had the same weapons, honestly would you care which one was Michelangelo or Donatello? I just don't know who most of these guys are. Why should I care? This isn’t a film with amazingly choreographed fight scenes or gore – to be sure I can’t point out anything that truly makes this film leap away from the shadow of Seven Samurai. It is based on a true story; take that for what you will. Verdict: if you haven’t seen Akira Kurosawa’s Seven Samurai, then find it, watch it. It’s a better written movie and gives you the same “good overcomes evil” sendoff, but with a lasting influence. Something 13 Assassins doesn’t have.